When it comes to new flooring, laminate gets a bad rap. It was cheap and looked that way when it was first invented as an economic flooring choice, but in the years that followed, advancements in technology and printing have revolutionized laminate. It is quickly becoming one of the most popular choices for frugal homeowners who don’t want to skimp on aesthetic appeal. Whether you love it or hate it, Gateway Design & Home Center wants to help you find the perfect new flooring for your home. Call today to schedule a one-on-one consultation with one of our experts or stop into our Loveland showroom to explore all your flooring options! There are a few things you should know before crossing laminate flooring off of your list of possibilities — laminate comes with a lot of advantages. In part one of this series, we discussed how gorgeous laminate flooring can be and how you can customize the design to fit the style of your home. We also covered how affordable laminate flooring is when compared with the real materials it imitates so well, such as solid hardwood or stone. As an added bonus, laminate flooring is also incredibly durable and can stand up to scratches and dents, making it a great choice for high heel lovers or families with pets. 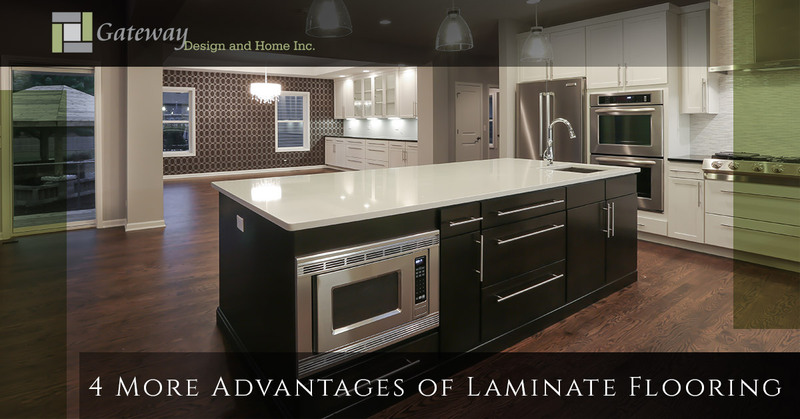 In today’s post, we’ll be discussing even more advantages of laminate. Keep reading to learn more, and contact Gateway Design & Home Center today for personalized flooring advice! If you read our article “What is Laminate Flooring?”, then you already know that its top layer can endure a lot of wear and tear. It’s also stain resistant, and that durability makes any necessary clean up a breeze. Simply vacuum or use a damp mop. Laminate is far more water resistant than hardwood flooring, but you should still try to avoid letting any excess water sit for too long. 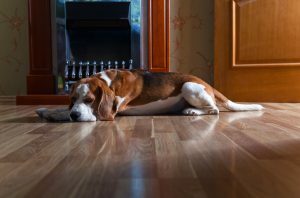 Its low maintenance combined with its resistance to damage makes laminate flooring a great choice for homeowners with shedding pets or messy kids. Have you been considering rolling up your sleeves and doing your own floor installation? Laminate flooring is made for DIYers like you. Most brands are made with a click-and-lock or fold-and-lock design, so installing your laminate floorboards is not much harder than putting together puzzle pieces. 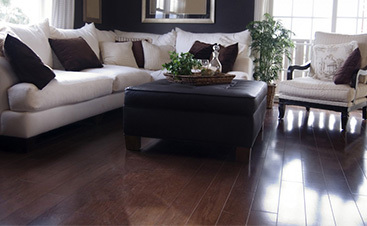 Laminate also comes without the strict requirements of other flooring types, like solid hardwood. It can be installed as a floating floor, which means that it doesn’t need to be glued, stapled, or nailed to a subfloor. It can be installed over existing floors, too, including concrete, old wood, vinyl, and more. 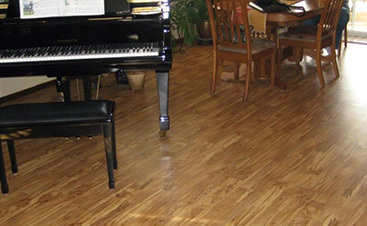 If you are choosing flooring for a do-it-yourself remodeling project, laminate can make the process easier. If properly installed and sealed, laminate flooring can be virtually waterproof. This makes it a far more versatile flooring choice than solid hardwood, for instance. You shouldn’t install laminate flooring in splash zones like full bathrooms, but it works well in places that can be moist, like powder rooms or the kitchen. It’s a great way to get the look of hardwood without the delicacy and drawbacks of the true material. A lot of the flooring materials that are prized for their aesthetic value, like solid hardwood, tile, or stone, can be very hard and dense, and therefore hard on your feet. 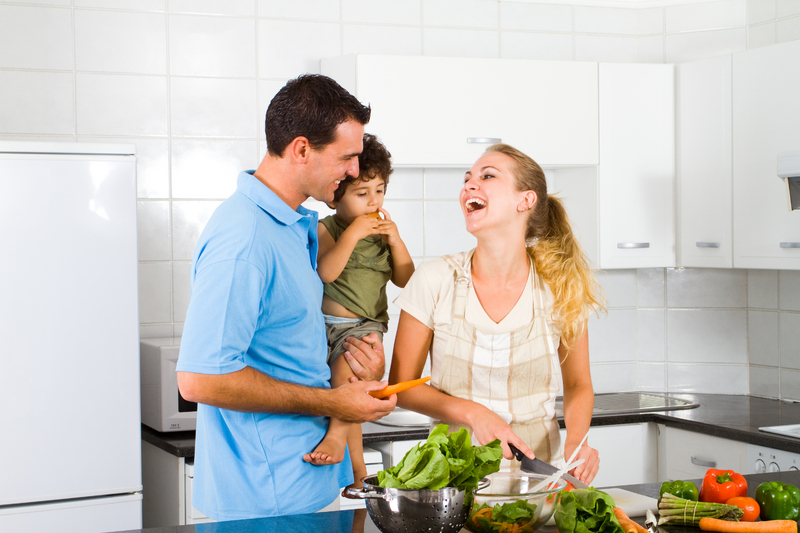 Those flooring types can be uncomfortable to stand on for long periods of time without rugs or anti-fatigue mats, which can become a problem when installed in places where you spend a lot of time on your feet, such as the kitchen. Laminate flooring can be the perfect solution, replicating the look of your favorite material without the discomfort. Most laminate floors are installed with a foam underlayment, softening your foot fall and adding a tiny amount of bounce, which can make a big difference. Not only is laminate flooring more comfortable to stand on for extended periods of time, it can also offer a slightly softer landing for young children without sacrificing durability or an easy-to-clean surface. If you are looking for new flooring, whether it’s for a remodeling or a construction project, don’t overlook laminate flooring. It can be the perfect compromise between beauty and practicality. Laminate gives you the opportunity to combine the best features of all flooring types, combining the gorgeous aesthetics of hardwood, the water resistance of engineered wood, the durability and low maintenance of tile, plus an easy installation process that is hard to beat. Get a professional opinion on whether or not laminate flooring is the right choice for you by stopping into Gateway Design & Home Center. We are Loveland’s Top Rated Local flooring store for a reason — we offer a broad selection of flooring materials in many styles, and we are dedicated to finding the material that fits the design of your home and your lifestyle. Explore our website to learn more about all the flooring types we offer and call today to schedule your personalized consultation!